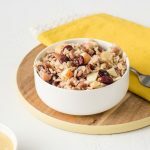 In a medium mixing bowl combine beans, rice, apple, cheese, cranberries and walnuts; set aside. In a small mixing bowl, combine mayonnaise, canola oil, mustard and maple syrup, mixing well. Pour dressing over salad and stir to coat. Serve immediately or store covered in the refrigerator for up to 2 days. Substitute the Gala apple for a Granny Smith apple. 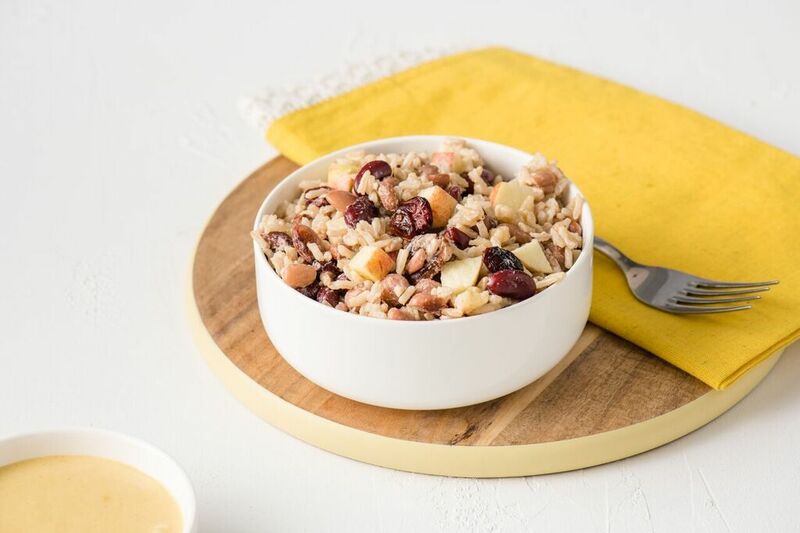 Substitute dried cranberries for dried apricot pieces. Substitute walnut pieces for unsalted sunflower seeds.